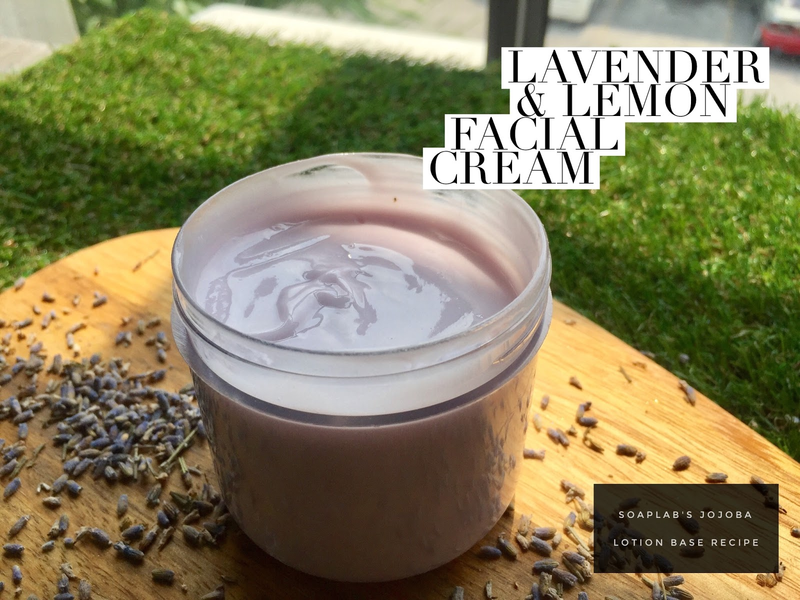 Hi guys, in our next recipe for our acne series we have a soothing facial cream. We use SoapLab's mild Jojoba Lotion Base and add in lemon essential oil to regulate sebum production on skin. As a face cream, it also helps to reduce oily looking skin. Next we use Lavender essential oil for its anti inflammatory properties to minimalize acne breakouts. Do remember that when you have acne, you need to use creams and lotions specifically for acne that doesn't clog any pores or increase oil production. Next, use calamine powder a cooling calming ingredient which we most frequently use in baby products. This means that if it's great for babies, it's also great for your skin and your customer's skin! With this facial cream, your customers will start noticing a reduction in acne flare ups and have a much calmer skin.